The train is still on the platform, with dozens of people getting past a man checking tickets. We try another approach. I ask the man checking tickets if I can pay him directly. He brings me into a bookshop. The bookshop manager, acting as a train station maître’d, says to let us on the train. They usher us through the checkpoint. Looks like we might get on the train after all. The train is far down the platform, and after what seems like a 10-minute walk, we arrive. When we reach the first car, the train starts rolling forward. We hop on the moving train just before it picks up some speed. Aside from the last few train cars, this old and rickety train is half full of passengers. Eventually, we find a seat across from a younger man. After one minute, the friendly man offers me a cigarette. Maybe this is a rite of passage. I accept. The conductor passes and I tell him we are going to Alexandria. At least four Egyptians stand to talk to him, all in Arabic, about our destination. I gave the conductor exact fare for two passengers and he gives me back half the money. Unclear and with no one to ask, we are pretty sure he didn’t charge us for Yana’s fare. Another man gives me a cigarette. Vendors start rushing through the cars, throwing things on our laps. Nuts, snacks, tea, razor blades, socks, headphones, pamphlets, cotton swabs, you name it. It’s on our laps. We patiently wait for their return, and they pick up the unwanted sales. Several locals buy small packets of snacks and nuts, just to share with us. After politely saying no for the fourth time, their facial expressions look like we just ruined their day. Eventually obliging, we take the nuts. After having a few nuts, he offers me a cigarette. We quickly realize this is the slow train. After 45 minutes, we have barely left the suburbs of Cairo. The train has no AC and is packed with locals. Luckily, most of the windows are broken letting in some airflow. Each train car has door frames with the sliding doors all missing. Men gather near these openings for cigarette breaks before returning to their seat. A man waves me over, to yes, offer me a cigarette. A visa is required for most foreigners and is available on arrival at the airport. The visa is $25 USD, payable at one of the three bank stations directly before the customs agent. Do not pay anywhere else. We have heard of people trying to lure foreigners elsewhere and overcharging for the visa. Following payment, a small slip is provided, which is presented to the customs agent. For more on visa information read here. Arabic is the main language in Egypt. Most locals do not speak English, but it is more commonly spoken in tourist destinations. However, it is good to know a few words in Arabic. As a fairly liberal country within the Middle East and North Africa, it is a great place to visit for arts, culture, and history. Egypt in recent years has struggled with tourism resulting from terrorist attacks and two revolutions. Businesses are struggling and eager for tourists. Guidebooks warn about harassment and that Egyptians are known to be aggressive. In our experience, a firm NO will do the trick. The best way to avoid these situations is to say “la shukran” (no thank you in Arabic) in a firm tone. Egyptians are very friendly people. If help is needed, Egyptians will go out of their way to aid tourists. 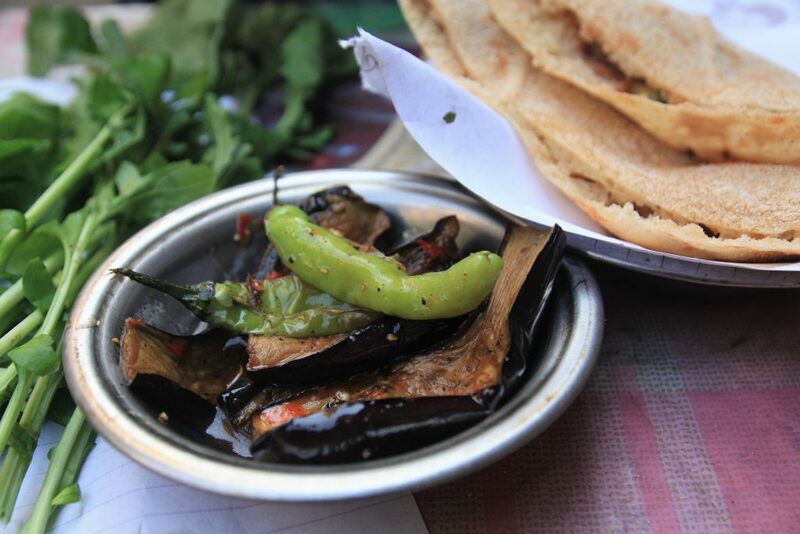 In their culture, sharing is really important, especially when it comes to food. Don’t be surprised if they ask you to join them while they are eating. Most businesses open around noon. When it is lunchtime, they are eating breakfast. Locals stay up late being social, eating, drinking freshly squeezed juice and smoking sheesha. We really love the culture in Egypt. To enter mosques, men and women must wear long pants covering ankles. Women must wear long sleeve shirts covering their arms. The Egyptian Pound (E£) is the national currency of Egypt. For years the pound was weak and with no economic confidence, the bank rates were not accurately reflecting the true value. Black market rates for currency were nearly double the bank rates. In late 2016, Egypt took a bailout loan from the IMF. One stipulation was for the pound to float freely. Overnight, the pound devalued by 48%. The currency remains the same since that day, however, costs adjusted appropriately. As of June 2018, the exchange rate is $1 = 18 E£ or €1 = 20 E£. Unlike most of Africa, local microbus transportation in Egypt is confusing, especially in Cairo. Microbus rides typically cost 1 E£ – 5E£ for short distances. Microbuses also go long distances but may have transfers or confusing departure stations. Costs can range from 40 to 100 E£ for longer destinations. Several large bus companies go from Cairo to destinations in the Nile Valley, the Red Sea coast, Alexandria, the Sinai, and the desert. Buses start at 40 E£ for shorter trips to 230 E£ for long hauls. Try not to take the economy bus and pay the extra fare for deluxe/VIP for longer distances. For a great website with more details on bus transportation, check out Ask Aladdin. Trains are an excellent option for transportation between Cairo, Alexandria, and the Nile River cities. There are three types of trains. The “local” trains which stop at every stop (7 – 30 E£ for tickets), Spanish AC trains (usually 40 – 120 E£ for tickets), and the faster Special Service trains (70 to 200 E£). Mid-range trains (Spanish AC) are OK for short distances, but it is worth the extra money for long rides or overnight trains. The difference between first and second class seats is that the first class is much quieter. First class seats are wider and recline more. Be ready for tundra like winter conditions on the AC trains. To check schedules, routes, and pricing, go to Egyptian National Railways website. Budget: Noorhan Hotel is the cheapest in town (but run down) with single rooms for 60 E£ and doubles for 70 E£. Check out Baba Dool with nice double rooms from 230 E£ ($13 USD) for an upgrade but low-cost room. 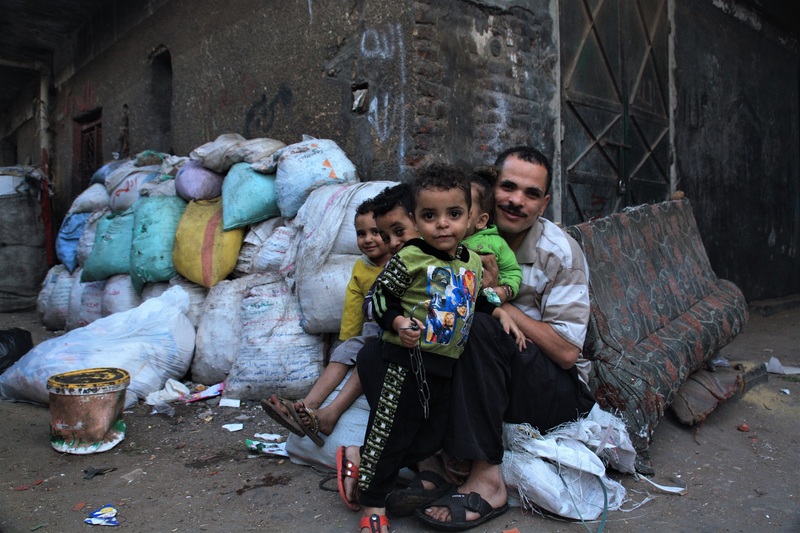 Tipping is not required in Egypt, however, it is part of the culture. Generally is a small amount is acceptable, 5 E£ for smaller bills and 10 E£ for larger bills. Service is included at some restaurants for up to 10%. For sheesha, if service is good, it is proper to tip the sheesha server. Leaving a tip on the table will go to the server, towards any drinks or food purchased. To tip the sheesha guy, leave coins in the sheesha tray. Don’t be surprised if locals ask for more money and tips, even if a price has been agreed upon. Just say no. Lastly, always check your change. I can’t count on both hands how many times we were short-changed. Kindly ask them to give you the correct change. Safety in Egypt is a concern and no way to avoid this topic. Facts speak for themselves. In 2015 several incidents occurred. The deaths of several tourists in the Western Desert by the Egyptian government (they mistakenly thought they were terrorists), an attempted suicide bomb in Luxor at the Karnak Temple, and the kidnapping of an Italian student in the Sinai all made international headlines. There also were two mysterious plane crashes. The Metrojet 9268 in October of 2015 from Sharm el Sheikh airport en route to Russia was suspected to have a bomb. EgyptAir flight 804 suddenly crashed into the Mediterranean while en route from Paris to Cairo. While Egypt has been hit by terrorism in recent years, we did not feel threatened or unsafe while visiting the country. We do not recommend going to the desert without a quality and proper tour guide and stay away from the northern part of the Sinai. 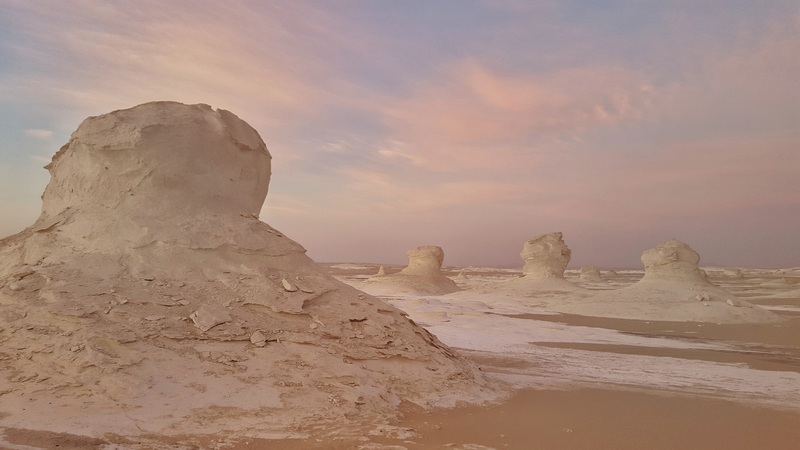 While some may find the risk too high to go to Egypt, others see it as an opportune time to explore this amazing country with little to no crowds. All attractions have student and teacher discounts. The discount is typically 50% off. If you are a student or teacher, don’t forget to bring your ID card. 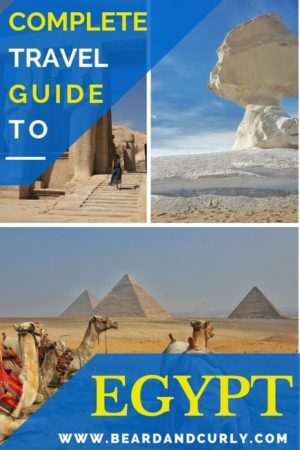 Egypt is one of the best countries in the world to backpack. 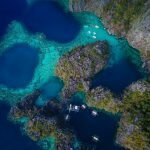 Not only at the very friendly and cater to backpackers around the country, it is also one of the cheapest places to travel. In every city we visited, there was a backpackers hostel and private rooms are also very inexpensive for couples. 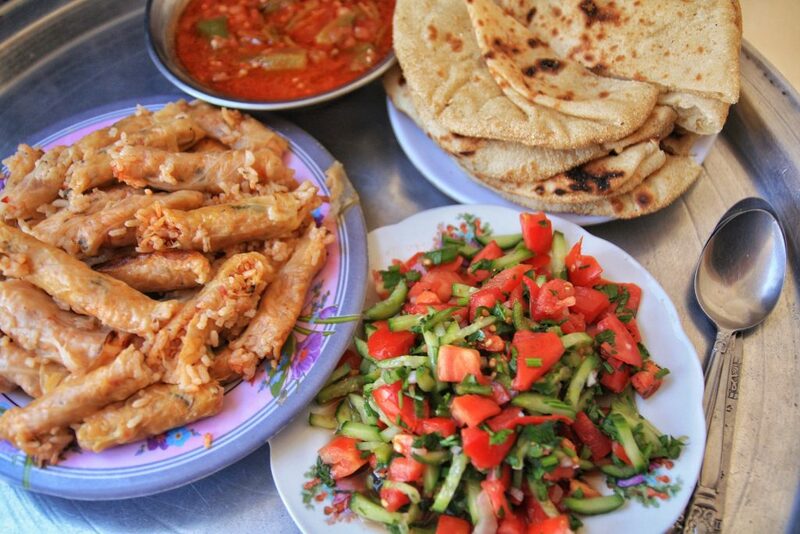 If you enjoy street food, Egypt has some of the best, and it is dirt cheap. 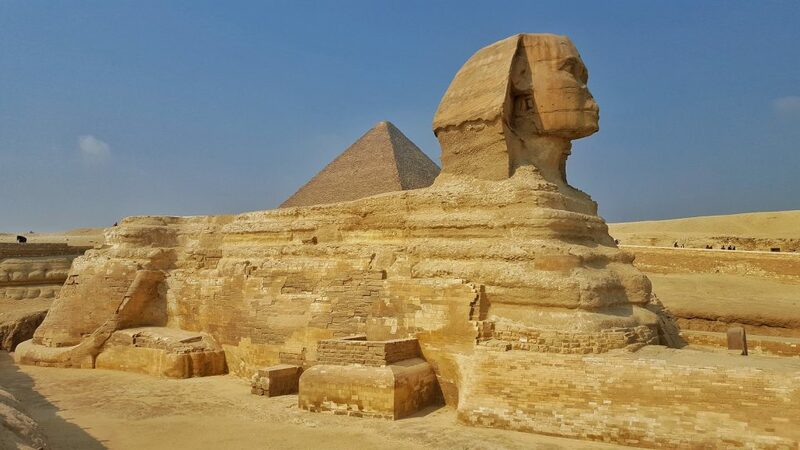 Where else in the world can you visit one of the most famous attractions for $30 (Pyramids), scuba dive for $15, eat for under $1, and spend less than $7 on a private room. Not too many, and none as good as Egypt. 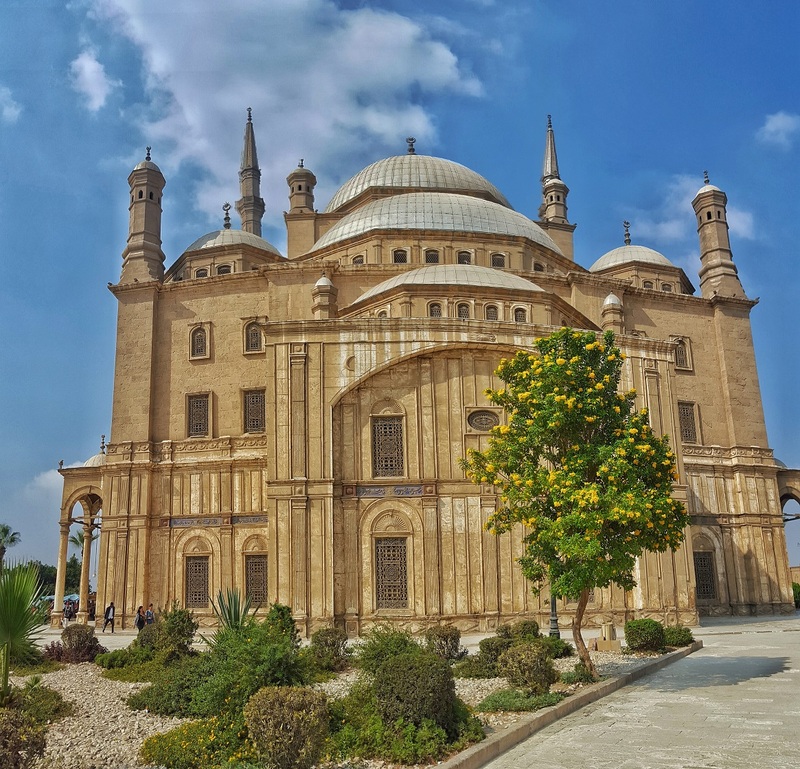 No visit to Egypt would be complete without visiting the main attractions in Cairo. Cairo is a large city with several important sites. It could easily take three days to see all the sites. Don’t miss the Great Pyramids of Giza, the Citadel, the Khan al Kalili market, and Islāmic Cairo. Other important places to see if time allows is the Egyptian Museum, Coptic Cairo, and Garbage City. 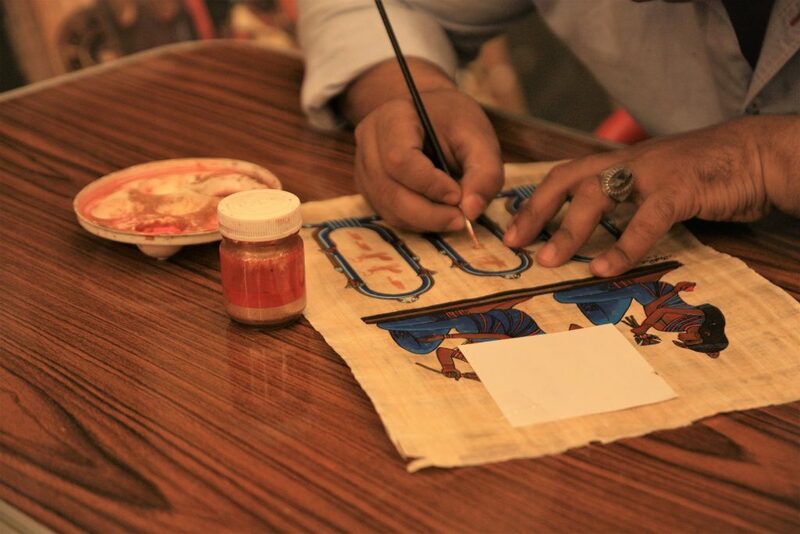 Read the full article on Top 10 Things to do in Cairo. This Mediterranean gem has more history than any other city in Egypt. Founded by Alexander the Great, Alexandria stood as the capital of Egypt for several millennia. An economic boom in the 1940’s saw this coastal city thriving before a nationalist regime in the 50’s cut off outsiders from Egypt. Buildings stand in disrepair since the 1940’s. This coastal city is a blend of Egypt and Europe with many cafes and restaurants, with an appearance that reminded us of Havana. 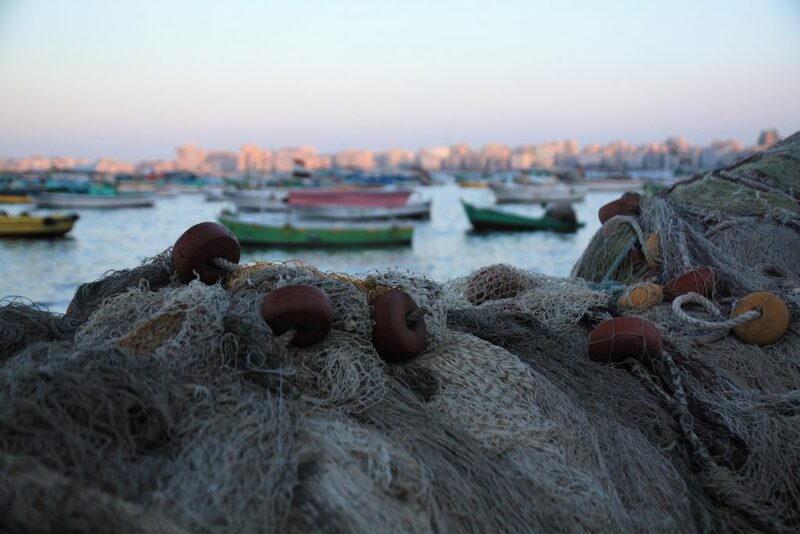 Alexandria is the arts and cultural capital of Egypt. Don’t miss the Citadel of Qaitbay, the Bibliotheca Alexandria, and the Catacombs of Kom El-Suqqafa. Read the full article on Alexandria. 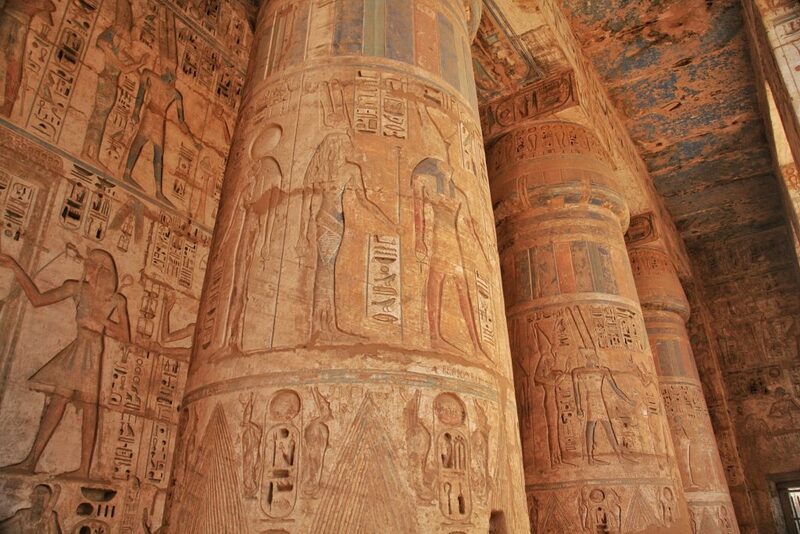 The Nile River Valley is home to thousands of temples, the best of which are congregated in Luxor and around Aswan. 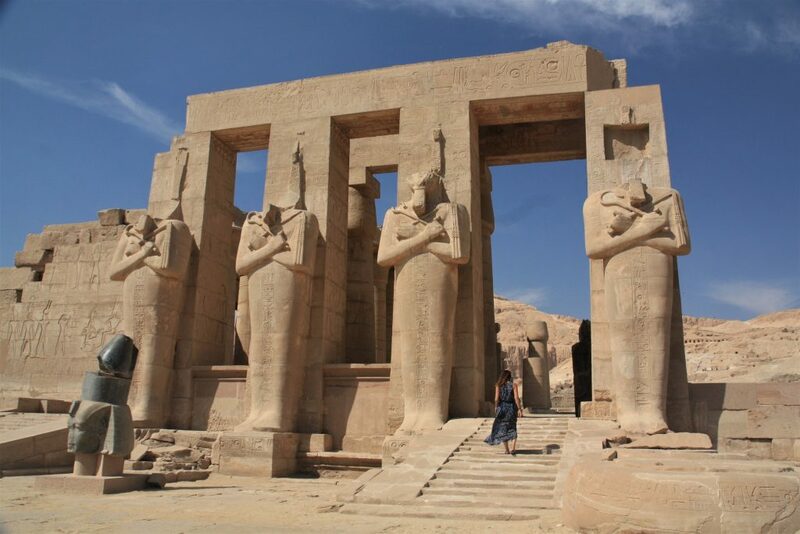 The best way to get to Luxor and Aswan is by joining a Nile River cruise or to take the train. Luxor is the world’s largest site for ancient temples. Several days are needed to see all the famous sights. 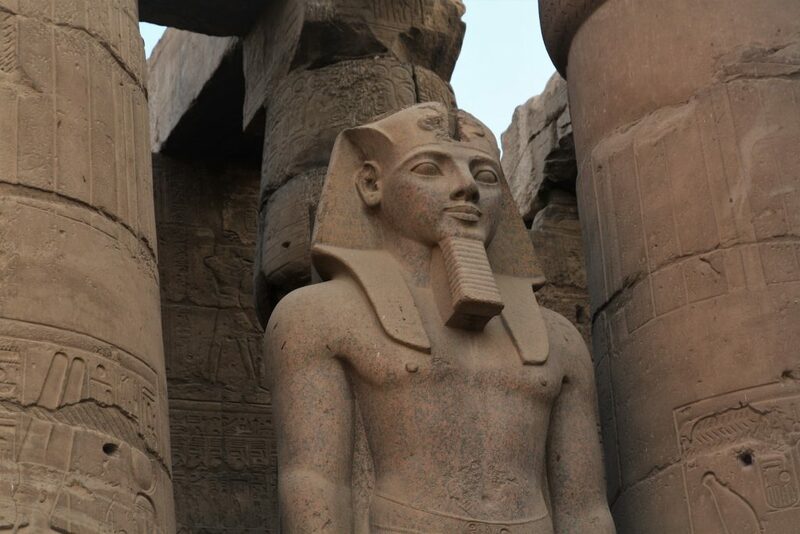 Don’t miss out on Karnak Temple, Luxor Temple, Temple of Hatshepshut, Temple of Medinat Habu, Ramesseum, and Valley of the Kings. 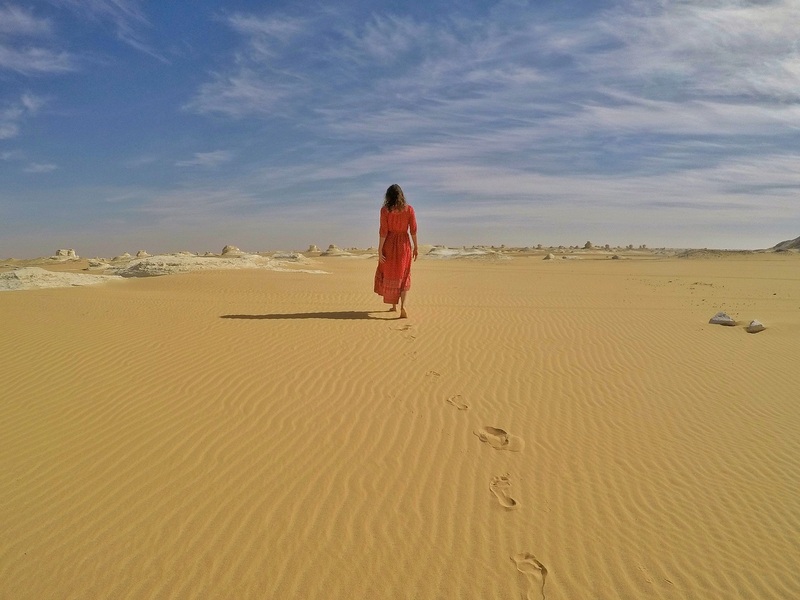 Continue south to the Nubian city of Aswan where a sunset felucca is a must, as well as visits to the famous temples, Philae Temple and Edfu Temple. 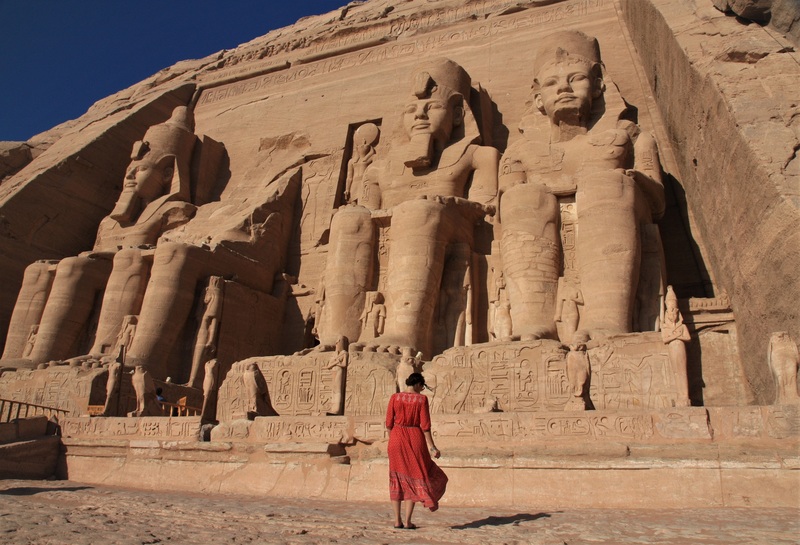 If time permits do not miss Abu Simbel temple located 40km north of Sudan. Read the full article on The Best of Luxor and Aswan Temples. The White Desert can only be visited by two or three-day tour starting from Bahariya. 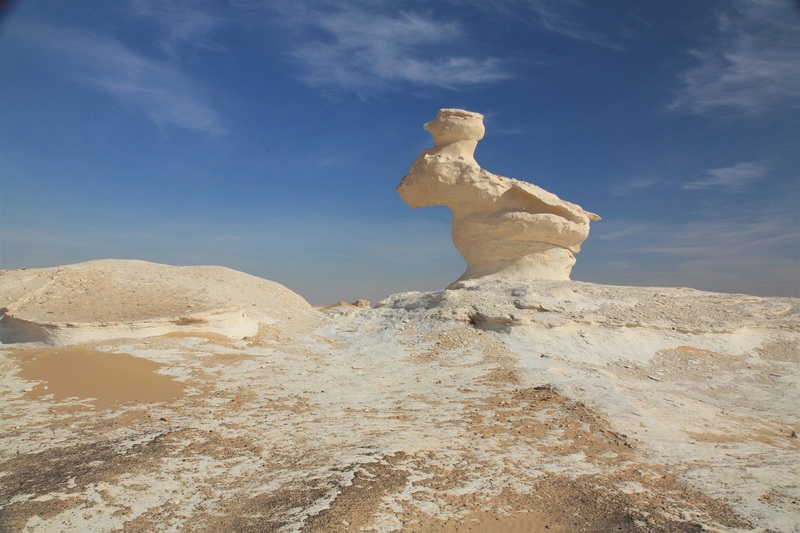 This desert, the best in Egypt and one of the best in Africa, has a bizarre landscape and rock formations. The tour includes a visit to an oasis, salt lakes, hot springs, the Black Desert, the Old White Desert, and the New White Desert. Some tours camp in the desert for one night while other tours camp for two nights. 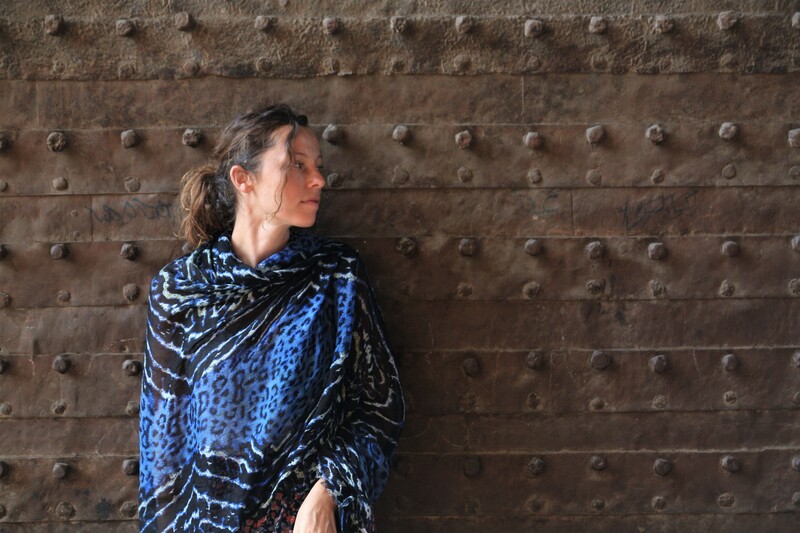 This tour was one of our favorite experiences in Egypt. Read the full article on our trip report of the White Desert tour. While the Sinai has a bad rap due to the terrorist activities that occur in the north, the south of Sinai is a tourist haven. It is no surprise that the towns of Sharm el Sheikh and Dahab are some of the most visited cities in Egypt. Both have excellent options for accommodation, world-class scuba diving, and top-notch restaurants. Sharm has more resorts and is great for families, while Dahab is a popular backpacker choice. 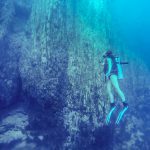 Dive shops offer some of the best prices globally to scuba dive. 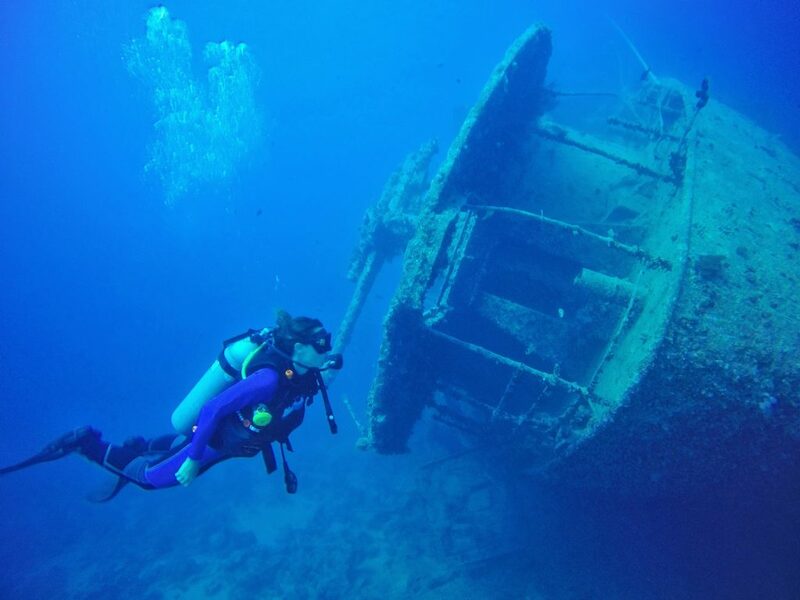 Don’t miss some of the famous dive sites, the Blue Hole, Thistlegorm, and the Yolanda Reef. 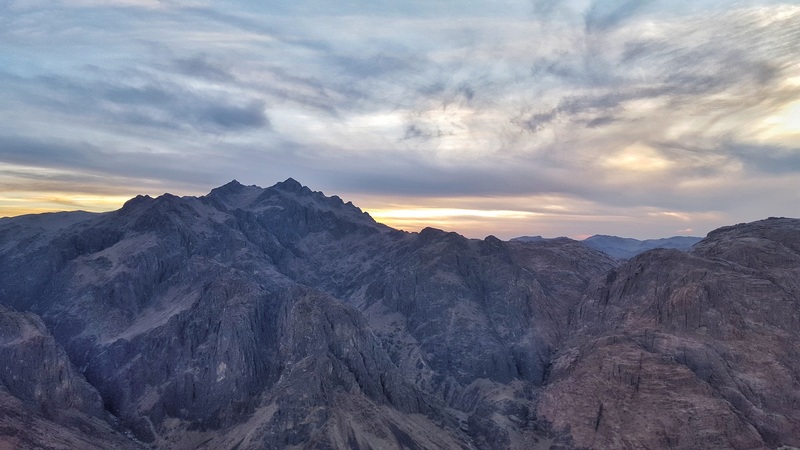 Also visit Saint Catherine’s Monastery and hike up Mount Sinai for sunset. Read the full article on Dahab Scuba Diving. Don’t forget your handy travel guides. Grab your Egypt Lonely Planet before you go! Click on the banner for 30% off all Lonely Planet guidebooks! We have dealt with some unfortunate instances while traveling in the past. Our baggage misplaced, laptops stolen, and the need to change our travel plans. All of this is a major headache and costly. We highly recommend getting travel insurance so you are fully covered for your trip. Egypt is not the safest country, accidents occur on the roads regularly, theft is not common, but does occur, and there is the unfortunate risk of terrorism that could interrupt travel plans. 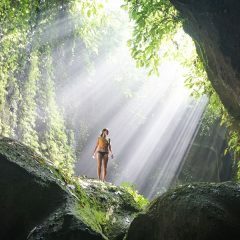 World Nomads has some of the best international travel plans out there to fully insure your trip. Don’t get caught without it! This article has affiliate links. Some links and banners will reroute to another website. If you decide to make a purchase, we get a small commission, and it helps us with our website costs. We really appreciate the support for any purchases made through our affiliate links! You have nicely put all the important information for first hand tourists to Egypt. Food guide and all the tourist information you have provided is great. Loved the tips on what to wear and local customs. Egypt looks so interesting due to its historical significance. I really want to visit this place. You really should. It is one of my favorite countries! A detailed post with all the important points are covered. I enjoyed reading every bit of your post, especially the ticket counter & the journey one. Some of the pictures depict what sort of wonderful architecture Egypt beholds and I’m truly attracted to the country now. Tourism might have been on a low there, but if we have all the info handy and keep ourselves safe, then it’s can turn the trip to an amazing one. Egypt is definitely on my bucket list! I would love to explore the old temples and of course the pyramid of Giza. Cairo sounds like it has plenty going on there too. I would definitely bookmark this for information and to use as future reference. Oh the good old Egypt! 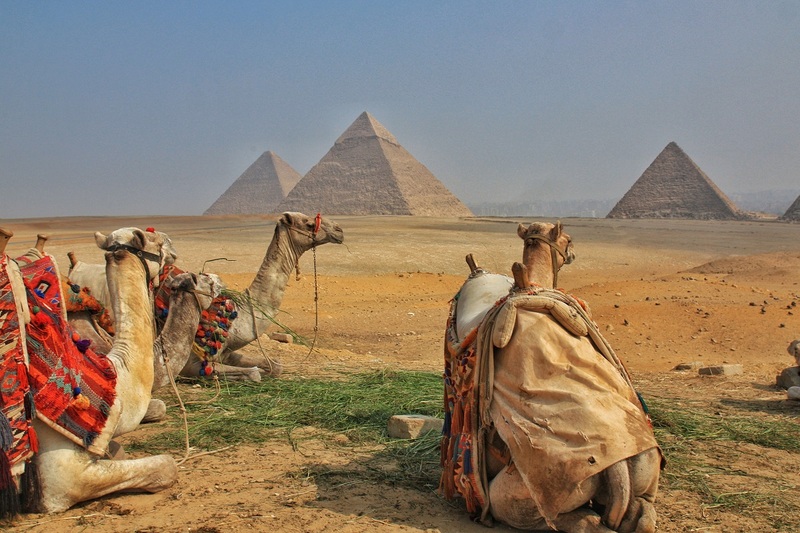 I think it is on everyone’s bucket list, especially the Pyramids of Giza. It is amazing the kind of architectural and construction techniques were used at that time these temples and pyramids were built. It just fills you with so much appreciation that most of it are still standing today. Yes Egypt is on my bucket list and I want to go their once in a lifetime.